Swaying in the wind, these kinds of grasses are typical of the golden savannas of mountain landscapes in Africa. This specimen is in the genus Hyparrhenia (possibly H. lecomtei, see FAO report) which Lyn Fish of South Africa's National Herbarium (Pretoria) tells me is "dreadfully difficult even with a specimen." 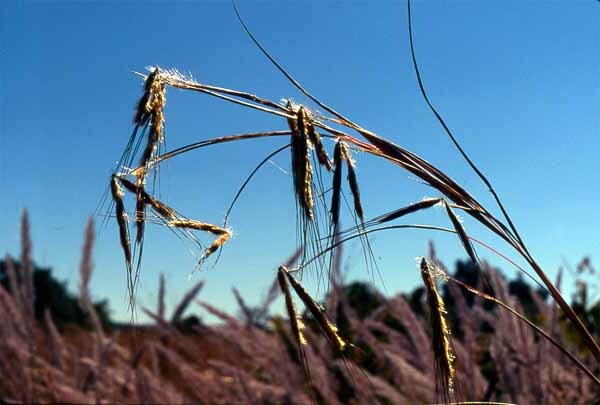 So it is difficult to identify this grass to species level. The photo was taken in the Nyika National Park, Malawi.